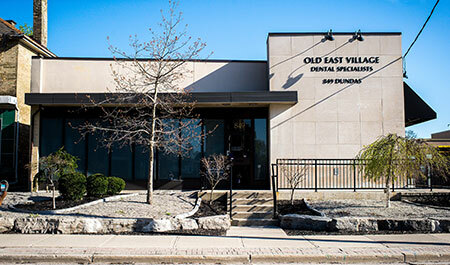 Look for the building named “Old East Village Dental Specialists” on the south side of Dundas St.
All appointments are personally arranged over the phone.  Please feel free to call with any questions. 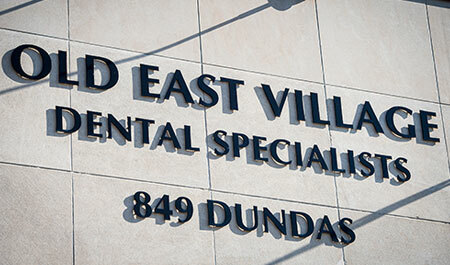 We are located at 849 Dundas Street between Rectory Street to the west and Ontario Street to the east. 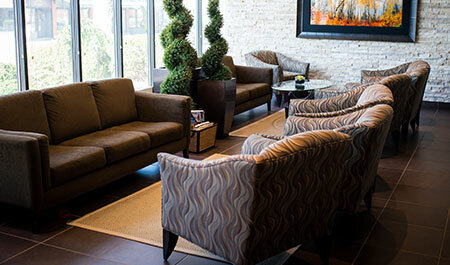 In general, it is best to reach the Western Fair District area, and then head North on Rectory to our building. 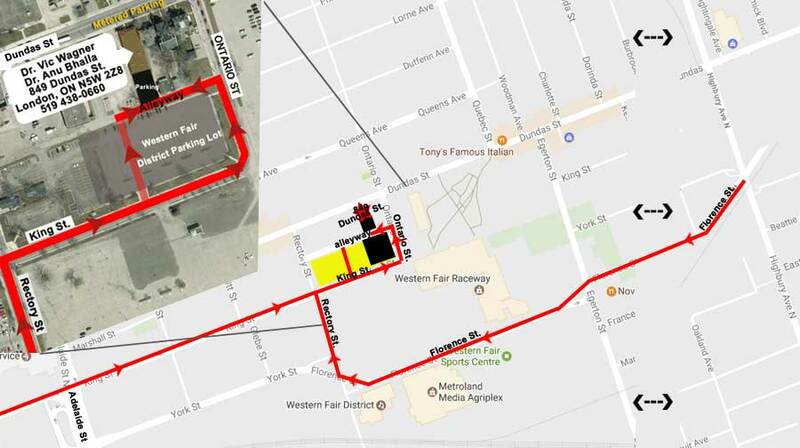 – From the east by Florence St.
– From the west by King or York St.
To enter our parking, it is best to use King St. and to either go through the Western Fair District parking lot just south of us, (which can be used for parking), or use the laneway after King St. turns North (see map below).